Buy: $14.99 Winchester Brand Knife w/Sheath. 8" Long w/4" Blade/ Surigal Stainless Steel. 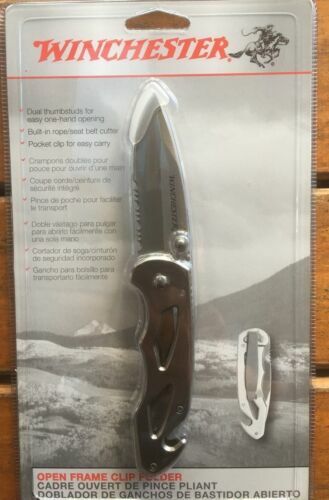 $23.74 Winchester Pocket Knife Multi-Tool w/ Sheath - Usually ships within 12 hours!!! Buy: $19.99 WINCHESTER HUNTING KNIFE WITH SHEATH EXCELLENT CONDITION FREE SHIPPING! $9.0 (E-2992) Winchester Dad's Limited Edition 3" Clip Folder - NEW - FATHER'S DAY! 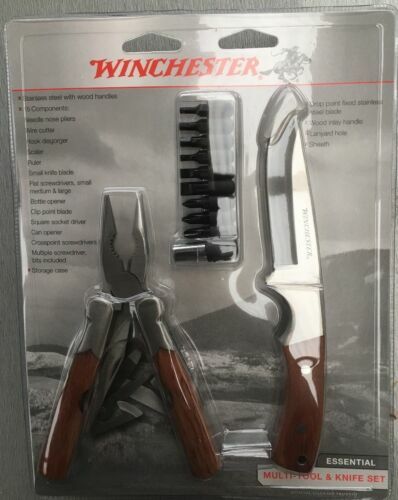 $10.99 WINCHESTER Large Stake Out Linerlock Knife with Sheath 22-108144 Brand New 4.75"
$35.0 Winchester 3 Piece Knife Set. Fixed Blade Hunting Knife + Two Folding Knives. 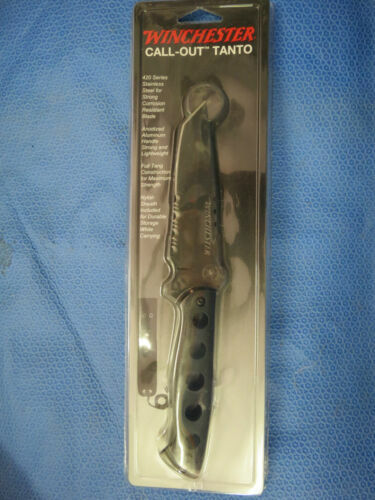 $21.95 WINCHESTER KNIFE 31-001461 1461 3" POCKET-CLIP KNIFE & MULTI-TOOL NEW!! $4.59 Rostfrei stamped pocket knife featuring stainless steel handle !! $4.74 Winchester pocket knife featuring stainless steel handle !! Buy: $16.5 Winchester 7.5" Skinner Fixed Blade Hunting Knife Black Nylon Sheath New! $24.99 Winchester Multi-Tool Pliers with Sheath - Usually ships within 12 hours!! !